Research firm Canalys released global smartphone sales estimates from the first quarter of 2011, with conjecture that no more than 2.5 million handsets running on Microsoft’s platform were shipped. The data doesn’t show this figure directly, but can be interpreted based on the numbers Canalys provides for competing platforms. If the numbers are accurate, it means less than 2.5 percent of the 1o1 million smartphones sold in the first three months of 2011 were Microsoft-powered (s msft). Android (s goog) continued to be the big platform winner, as expected, with 35.7 million handsets shipped around the world. Surprising however, is the emergence of the Asia-Pacific region as the area with the most smartphones sold: a full 37 percent of the total handset sales. That might explain why Apple (s aapl) is focused on China and neighboring countries as a large growth area, something the company mentioned in its most recent investor call. I’d also expect Google’s platform to benefit from growth in this area as inexpensive but capable Android phones are positioned to enable the smartphone revolution in India, China and other countries. Samsung also shipped nearly 3.5 million bada operating system-based smart phones, outperforming total shipments of Windows Phone devices by more than a million units. There’s a little room for interpretation there, depending any rounding Canalys has done, but Cunningly believes that approximately 2.5 million Windows Phone 7 devices were shipped to retailers and carriers. Even in the unlikely event that all were sold to customers, the numbers show Microsoft is far behind competitors in a market that’s growing fast; global smartphone sales are up 83 percent from the prior year’s first quarter, says Canalys. Giving the benefit of the doubt and optimistically assuming 2.5 million Microsoft-powered handsets were sold to customers in the first quarter, the number would still pale in comparison to the 18.65 million iPhones and the 35.7 million Android handsets sold in the same time period. Even Samsung’s own Bada platform for mid-tier devices shipped more than Microsoft’s. Without actual sales numbers from Microsoft, it’s difficult to gauge the exact progress the company is making. But even with limited data and a little interpretation, it’s clear to me Microsoft needs to pick up the pace both for Windows Phone 7 improvements and its Nokia(s nok) partnership if it wants to make a dent in either iOS or Android. Hi Kevin, I like your writing but sometimes the statements are just plain ignorant. You do realize before Google and Apple stole the innovation momentum from likes of Nokia, Samsung in phones arena, SEAP countries like Singapore, Hong Kong, KL, etc were biggest smartphone consumers …more than all of US put togather… and still you find it surprising…. Appreciate the feedback and yes, before Google and Apple arrived in 2007/2008, this area was the tops in smartphone sales. But since then, smartphone adoption in the U.S. and some European regions far outpaced it. It’s only recently that the smartphone has taken off again in Asia-Pacific areas, partially due to the more recent maturity of the mobile broadband in some of the countries. Microsoft would have done better to sit on it and keep improving WP7 until it could reasonably compete against real smartphones. Instead they pushed an embarrassment out the door which is largely unchanged half a year later. The best move they could probably make with WP7 now would be to coordinate with Nokia to position it somewhere between the $20 prepaids at Walmart and the lowest of low end Android phones. That would give them more of a market than the handful of hangers-on currently trying to beat the dead horse back to life. If they can’t do that, WP7 may go down as the worst mobile venture in history, it’s best feature being that it was effectively dead three months after hitting the market. Bada only exists for the sake of selling bottom end phones super cheap in emerging markets. Comparing sales of it to WP7 makes no sense other than giving haters a reason to declare failure at every opportunity. The only reason WP7 might eventually fail is the fact that the tech media is filled with anti-microsoft trolls who will bash it whenever possible because they want it to fail. This doesn’t make sense. Samsung is one of many devices running WP7, so how do you some up with the statement that there were “2.5 Windows Phone 7 Shipments in Q1”? I’m a happy owner of an HTC Surround. No botched updates on my end and a superior user experience while moving around the OS. Marketing is the only real issue here. Windows phone actually has a lot of good things going for it. -App marketplace is growing faster than any competitor did in the same amount of time. It’s got its weakspots, but its strong points are more than making up for it. And Microsoft is hard at work on fixing the weakspots. My guess is it will eventually succeed over Android, as hard as that is to imagine. Windows Phone fails on many levels. 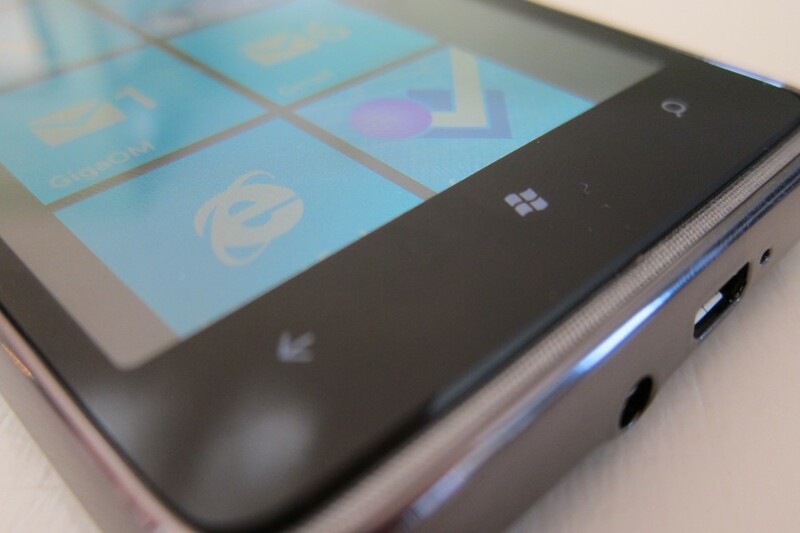 Microsoft has handled Windows Phone very very badly. It seems that Microsoft is incapable of executing in mobile. There’s one more reason why Windows Phone failed. Like Om likes to point out, this is a product without a business plan. Google had already destroyed Microsoft’s business plan (ie OS license fees) before Windows Phone 7 was ever released.